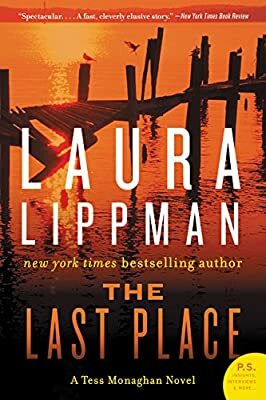 Author: Lippman, Laura Set In . . .
Tess Monaghan agrees to look into a series of unsolved homicides that date back over the past six years despite the fact that the assignment originates from a troubling source: wealthy Baltimore benefactor Luisa O’Neal, who was both instrumental in launching Tess’s present career and intimately connected with the murder of Tess’s former boyfriend. Apart from the suspicion that each death was the result of domestic violence, nothing else seems to connect them. Five lives—four women, one man—ended in various ways. The only thing the five cases seem to have is that they are now ice cold. Tess’ search for the connecting threads takes her beyond the Charm City limits and into dangerously unfamiliar territory. With the help of a police officer obsessed with bringing a murderer down, she follows scant leads into the remotest corners of Maryland, where a psychopath can hide as easily in the fabric of a tiny, rough-hewn fishing community as in the alleys and shadows of bustling Baltimore. As she strays far from everything that’s familiar and safe in her life, Tess is suddenly cast into a terrifying cat-and-mouse game with an ingenious slayer who changes identities as often and effortlessly as clothing. But at last, a single link to the murders emerges. Unfortunately, it's Tess.